Congestive heart failure is, fortunately, no longer a minimally treated condition, as it was prior to the 1980s. Inactivity and bed rest was then the only strategy for prolonging life. 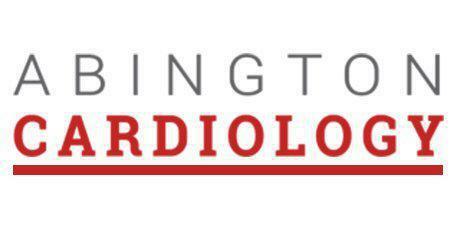 Dr. Meshkov and the team at Abington Cardiology in Jenkintown, Pennsylvania, have the knowledge and experience to improve the quality of life for those experiencing heart failure. Strong, productive lives remain possible through a combination of medication, diet, exercise and, if necessary, surgery under the care of a superior cardiologist. Contact Abington Cardiology to discuss your heart history and future health. Is congestive heart failure the same as a heart attack? Having congestive heart failure doesn’t mean that the patient’s heart stopped working or even that it’s beating in a compromised way. The condition means that the heart is no longer pumping enough blood to satisfy the body’s need. This happens when the heart muscle weakens due to age or a medical condition, or when the heart has a defect that interferes with normal blood flow. One of the results of heart failure is that the kidneys lose the ability to filter fluid into urine. The fluid that can’t be eliminated builds up in the lungs, liver, legs, and eyes. This is the congestion that gives the condition its name. What are some of the symptoms of congestive heart failure? Ideally, the underlying cause of poor blood flow would be eliminated, but that’s not always possible. Patients with the disorder frequently pursue lifestyle changes that address contributing and aggravating factors. These changes include quitting smoking, weight monitoring and management, reduced-salt and reduced-fat diets and increased physical activity. Depending on the nature of the failure, drug therapies can help, such as diuretics to combat fluid retention, widen blood vessels or stabilize heart rates. Surgeries include coronary bypass, valve repair or replacement, pacemakers and pumps or in severe cases, transplants.